Society has been divided into different casts, the Scholars, the Martial, and the Tribe. 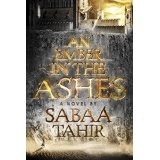 An Ember in the Ashes revolves around the story of Laia and Elias who become unlikely allies. Laia is a scholar girl who overcomes her cowardice as she attempts to rescue her brother from the Martial prisons. Elias is a Martial student who is about to graduate from the military academy. Elias craves the freedom that he can not obtain while being a soldier for the Emperor. The inspiration for An Ember in the Ashes came from the stories of Kashmiri women. These women told stories of how their brother, husbands, and sons were taken by the military. In Sabaa's novel, Laia's brother was taken by a Martial soldier during a raid on her house. Laia has to overcome her fear and face betrayal before she finds the path that will save her brother from the Martial prisons. Laia shows us what a person can endure for the love of family. She puts her life in danger in order to find information regarding her brother's whereabouts. When the Resistance betrays her, she takes matters into her own hands. Elias shows us the amount of will power needed to change who we are. He despises the Martial way of life and is afraid that he will become as ruthless as his mother. Both characters rely on hope to provide them with the courage needed to face their daunting obstacles. An Ember in the Ashes utilizes the theme of hope. This novel illustrates that a silver of hope can be all that is needed to encourage someone to change and fight for what they believe in. 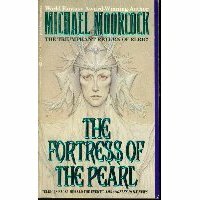 I recommend this fantasy novel to anyone looking for an entertaining but well written novel.